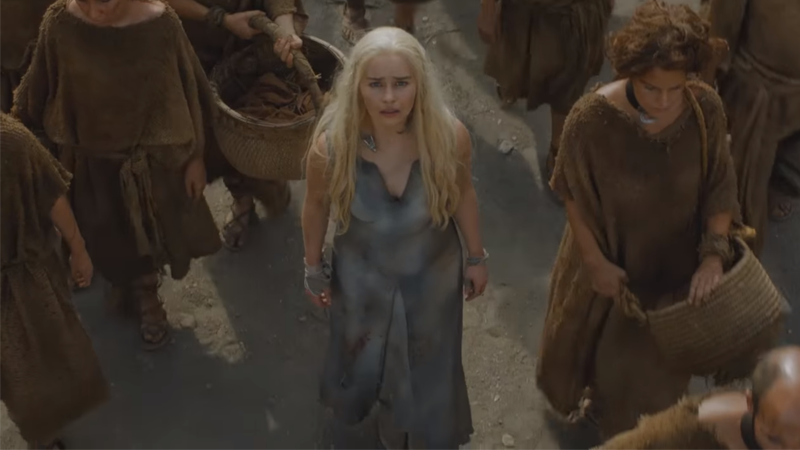 Game of Thrones season six starts soon, and it’s becoming obvious that we’re heading towards the show’s endgame. But even then, it’s a bit surprising to hear just how close the end could be—and how it might come about. It turns out, there’s less Game of Thrones left than anyone realized. I think we’re down to our final 13 episodes after this season. We’re heading into the final lap. That’s the guess, though nothing is yet set in stone, but that’s what we’re looking at. They continued that the seventh and eight seasons, presumably the final two for the show, would have seven and six episodes respectively. These exact numbers were premature, according to Variety’s sources, but weren’t out of the realm of possibility. For now, plans for those last two seasons are in the earliest stages of development. In the wake of Variety’s interview, HBO issued a statement stating that no details had been finalized, which Entertainment Weekly backed up. But apparently, Benioff and Weiss had told EW’s reporters the same thing about their plans in an interview last October. So even if deals have yet to be made, it seems that Game of Thrones’ producers have at least been thinking for a while about how soon the show will end, and how much story they actually have left after season six. Bear in mind, these plans are not absolutely final—HBO could push for more episodes in season seven and eight, or they could merge both seasons together into one mega final season. We don’t really know yet. But no matter how you look at it, after season six comes to a close in the coming months, we won’t have much time left in the Land of Westeros.